There are nine steps to a mortgage loan and payoff. Some mortgages are, about 99%, questionable and have been initiated, bundled, securitized, and sold by your lender or bank. The questionable activity is when you gave your lender a loan… when you signed your promissory note and did not know that you actually gave the loan to your lender first and the lender gave it back to you as a loan to avoid Federal Income Taxes and to steal your money. This is how your lender got the FREE money to loan you, because by Federal Banking Law, neither the bank nor lender can loan you any of their money, assets, depositors’ account money, or credit. 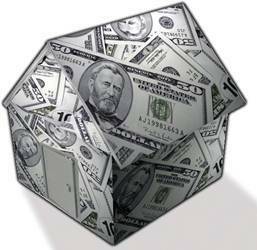 Is your mortgage loan that you are paying QUESTIONABLE? Did you know that you loaned your mortgage lender the money to loan you back? Do you know that you can get your questionable mortgage removed in 120 days or less, because of the fraud that your lender may have perpetrated upon you at the lender’s secret, second closing that you were not invited to… and for good reason? The reason is because your lender changed your promissory note into a deposit of money or check and entered your deposit into their bank checking account just as the below steps of a mortgage explain. 6. The Bank/Lender writes a check out of the $1,000,000.00 deposit to pay off the old mortgage and previous owner if there is equity. No money or assets changes hands or is given to another party. Your lender just created money out of thin air with an ALLONGE Stamp and maybe a false signature! 7. Within 3 months, Bank/Lender assigns, transfers, sells your mortgage to another bank/Lender or group of investors for a healthy 150% to 400% profit. 99 times out of 100 this assignment is not recorded at your local court recorder’s office against the State and Federal Real Estate Mortgage and property Law. Check your clerk of court to see if your note or assignment of mortgage is recorded. You may find that it is not and you’re paying your mortgage payments to a bank that is not authorized to receive payments called a Servicer, a Third Party Debt Collector for the investor or Trust. 8. The U.S. Supreme Court Case at <b>CARPTENTER V. LONGAN, 83 U.S. 271 (1872) </b> says that the Promissory Note and the Mortgage (Deed of Trust) are inseparable. This means one cannot be assigned or sold without the other one attached and this law is still on the books. Yet banks separate them all the time through Securitization. The way to prove this illegal tactic is to get a Securitization Audit done on your property. Day Global LLC can advise you on how to get and who has the best audit service that will stand up in any State or Federal court. 9. When your Deed of Trust or Mortgage is assigned or sold separately, you are then informed to send your payments to another bank or the same bank as the loan Servicer of your mortgage loan, sometimes several times. D. You get your illegal mortgage REMOVED with our help at www.1RealEstatehomes.com and OWN YOUR HOME FREE AND CLEAR without waiting 30 years or losing your home AND NO MORE MONTHLY PAYMENTS! These are the nine steps that you are taking as Gospel and thinking that your lender actually loaned you the money for your home. Don’t be deceived anymore and take back what you have already paid for when you gave your lender the money value, the loan by signing your debt signature and giving your good credit, and your fraudulent lender gave your new loan back to you in the form of a loan. Your lender did this, because your lender could not loan their money or assets, they could not loan their depositors’ money and they could not loan you their credit against Federal Banking Laws of which court cases across the United States have upheld. By giving you a loan in the place of giving your home back to you, your lender did not have to pay Federal Income Taxes! Did you know any of this? Are you going to fight back or are you going to remain silent and let the banks take you home? I know I HAVE NOT REMAINED SILENT, ARE YOU!!!? Go to www.1RealEstatehomes.com and take action to own your home FREE and Clear today!